Being a proud owner of a brand-new Android phone and having a couple of weeks of vacation over the holidays, I decided that this is the perfect time to reorganize my digital music collection and to rip the last few CDs for which I had not had the time before. I had to go through some trial-and-error experiments to find a tagging scheme that works for me, so I figured that my results might be interesting for others as well. I'm going to try to make a mini-series of blog postings that explain how I tag my MP3 files. I do not claim that this is the one and only tagging scheme, but it works well for me. If you use a different tagging scheme that works better for you, please let me know. 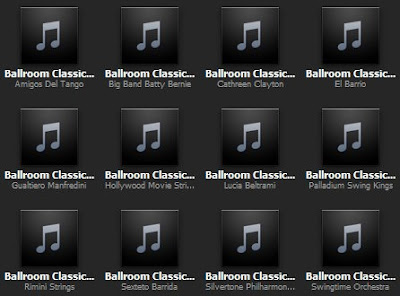 Being me, I want my music to be tagged perfectly for the handful of devices and programs that I use. This includes my iPhone that I recently used mostly as a media player and now also my Android phone. On Windows my main audio player is iTunes, but sporadically I also use Windows Media Player, mainly because it starts up much faster. Finally, I want to use the capability of the Windows Explorer to show the track titles when viewing tracks in the file system. Files from the same disc (set) should be be recognized as such. 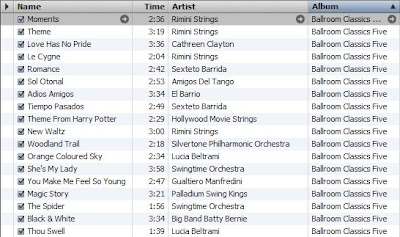 If not tagged correctly, iTunes (and other players) show tracks from the same CD as belonging to multiple CDs. This happens mostly for compilations. See below for the solution. Files and folders should show cover art in high quality. I want to see my cover art when playing a song, when using iPhone/iTunes cover flow, and as thumbnails in Windows Explorer. The files should play in the correct order. This seems trivial, but unfortunately it isn't. Getting the tagging right is not made easier by the quite diverse collection of media types in my collection. I have albums of one artist, compilations from multiple artists, audio books, ballroom dance music, comedy discs, movie sound tracks, musicals, and so on. I also have a number of single MP3 files of an old collection of chart samplers that I didn't want to keep in their entirety. iTunes only recognized files as belonging to the same album if they also are from the same artist. Fortunately, there is a simple way to make iTunes understand that this is indeed only one album. Just select all tracks, right click, and select "Get Info" in the context menu. Then edit the "Album Artist" tag to have the same value for all tracks. I usually choose "Various", sometimes "Soundtrack" or similar. The album artist field is also useful for albums of a single artist "Somebody" where individual tracks are from "Somebody feat. Somebody Else". 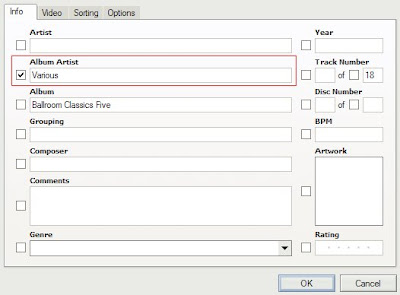 Technically, the "Album Artist" information is stored in the 'TPE2' ID3 frame that is defined as follows: “The 'Band/Orchestra/Accompaniment' frame is used for additional information about the performers in the recording.” Arguably, this definition does not quite match what we use it for, but all players seem to use it as the "album artist" as intended. Let me know if this explanation was helpful for you. Check back later for other topics I'd like to write about in future postings: Which ID3 version(s) to use, how to include cover art, how to handle sets of two or more discs, audio books, and what else comes to my mind until then. Let's hope that I find the time. Any particular reason you don't edit ID3 tags in iTunes? Several reasons. First, I'm used to ID3-TagIT. Second, it gives more low-level control. Finally, iTunes just misses some of ID3-TagIt's features. It doesn't really support renaming files (the way I want it) according to tag information or inferring tags from file names. I use this a lot. There is other stuff, like capitalization correction, and more. track, and genre ("Speech") for a file. The ubuntu "file" command now says it is an "Audio file with ID3 version 4.0 tag, MP3 encoding". When I push it to the phone with adb, and play it, it plays fine, but no information is visible in the music app. And it doesn't show up in the "music" application indexes at all. Can anyone be more precise on exactly what tags are necessary? Thanks! Hmm - it looks like this has more to do with how and when the "Music" app catalogs files, since using adb push to copy an exact copy of file with good tags also didn't work. Does anyone know how to get Music to recatalog things? I have not heard about ID3 version 4.0. Is this a different name for 2.4.0? FWIW: For my MP3s the file command prints "MP3 file with ID3 version 2.3.0 tag" on Debian Lenny and "file with ID3 version 23.0 tag, MP3 encoding" on Ubuntu Hardy. As for the cataloging: I don't know, but have you tried ejecting the SD card? That did it - thanks - better than a reboot! Though along the way I ran into other scary messages like "unsafe sdcard removal!" even though I carefully unmounted it in settings first. I had to physically re-insert the card twice after that before it showed up again. Some way of rescanning the Music catalog without having to unmount would seem much better. First of all, Android doesn't seem to support ID3 v2+ tags. I used MP3tag to change all the tags of my songs to ID3 v1 tags, and now they show up. However, I have another weird problem with this file: http://www.iswart.nl/files/ppk-Resurection.mp3 . It seems like a normal MP3 file to me. Any player plays it, and even my old phone plays it. But my G1 Android 1.6 doesn't. It doesn't show up under Artists, Albums or Songs. But you know where it DOES show up? Under: Playlists/Recently added. It shows the song, it shows the artist. BUT, I can't play it, and I can't set it as ringtone (not even wint longclick --> set as ringtone), which is what I want in the end. Any help would be greatly appreciated! Ow and the ringtone is so awesome, that you should definitely just try it yourself! Update: I also noticed that, if you do not put the files on your phone through normal USB connection (with connect and unplug using the phone), but, for example, through download from the browser or whatever, the music app won't update the library... Hope that answers your question. It only updates the library when you unplug the USB cable from your phone and your phone says: Readying SD-card (well, in Dutch it says something like that ;) ). An unused "Composer" tab can come in handy if You want to organize your MP3 files in folders! You just need to scan & tag your mp3 library first with a tool like itag3.com. Try Mp3 Tag Express. It's not a pretty app by today's standards, but it's way more flexible than most apps I've tested.